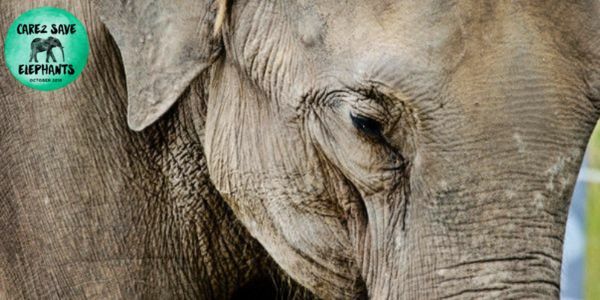 petition: Save Elephants Cora and Tembo From Horrible Topeka Zoo! Save Elephants Cora and Tembo From Horrible Topeka Zoo! Animal advocates are mourning another tragic loss for captive elephants with the death of Sunda, a 58-year-old Asian elephant who died at the Topeka Zoo this week – but they're also not giving up on the two surviving elephants there who should be immediately moved to an accredited sanctuary given the zoo's inability to properly care for them. Sunda's passing marks the second elephant death in less than two years at the Topeka Zoo, following the death of Shannon last December. She was only 35-years-old, but the zoo left her unsupervised for at least 10 hours knowing she was chronically ill and needed monitoring, and that inexcusable negligence cost Shannon much unnecessary suffering and, most likely, her life. Sadly, these heartbreaking deaths are part of much bigger problems at this zoo. In Defense of Animals (IDA) noted that the Topeka Zoo has been cited numerous times by the U.S. Department of Agriculture for violations of the Animal Welfare Act. Not only has the zoo proven it's unable to properly care for its elephants, many of the health problems they are suffering are likely also made worse by a cold climate in Kansas, which isn't appropriate for them. The ongoing mistreatment of its elephants earned the Topeka Zoo the shameful distinction of being named the 'worst zoo' last year on IDA's annual list of the 10 Worst Zoos for Elephants in North America. While it's too late to save Shannon and Sunda, there are still two survivors there who need our help – Asian elephants Cora and Tembo. In the wake of this most recent loss, IDA and their advocates are calling on the Topeka Zoo to do the right thing by closing its elephant exhibit and retiring Cora and Tembo to an accredited sanctuary where they can finally get the care they need – and where they'll be able to live out their days in a far more appropriate environment in a suitable climate. Please sign and share this petition urging the Topeka Zoo to act immediately to secure a sanctuary retirement for Cora and Tembo before it's too late.